The Last Of My Christmas Money, A Trade and A Free Package! That's two Noesi's... yay.... :| But the Altuve is a refractor numbered /199 which is GREAT by me!!! I really like the design. It is a very cool looking set and if I had extremely deep pockets I might try to chase down the complete set, but I think I'll stick with what I've purchased and be happy with it. 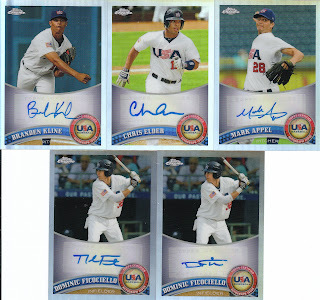 These are the prospect inserts. 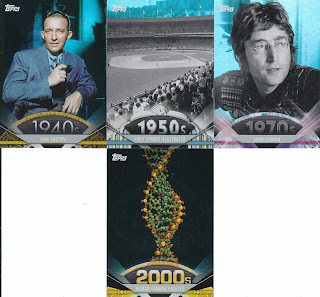 No refractors or parallels here. And again another duplicate. Hopefully one of these guys makes it big and I have a very valuable card in my hands!!! Not a bad selection, although I did end up with two Jed Bradley cards. There's 9 here, thus there are 3 I'm hiding from you... those will come here in a bit... patience, as they get better and better as this post goes along! Here we have the jersey relics... including my dual relic and a nice one to boot! I can't argue with a X-Fractor Ackley at all! 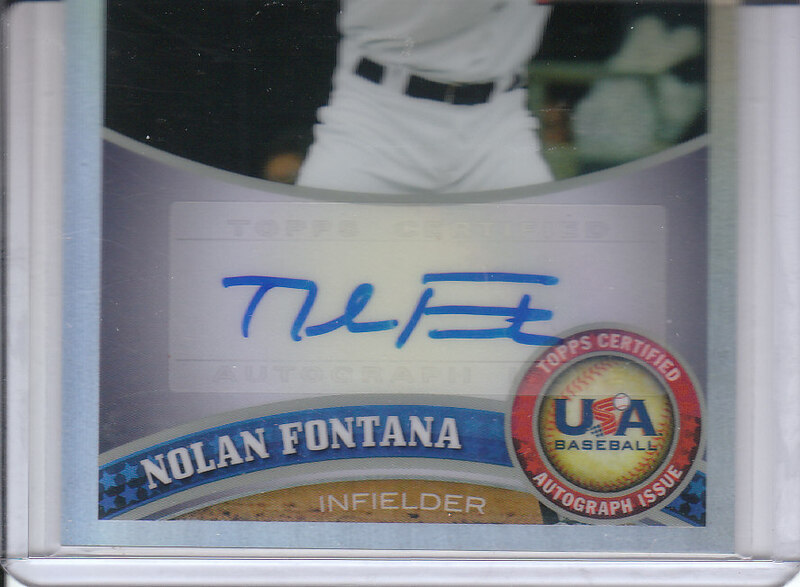 It's numbered out of /199. I shrug my shoulders a bit at the Team USA guy, but hopefully he's a major prospect a few years from now and I can cash in! I think I may put the Ackley on eBay and see what it fetches. Alright, and finally I've come to the major hits from the box, the ones that I think will help me make my money back a bit! Yep, that's a Cyan Printing plate of Eric Thames! SWEEEEEET!!! Next up is a gold parallel auto /50 of Joe Panik. The guy at the shop says he's the next big thing for the Giants, I'm hoping these two cards plus the Ackley will more than recover my box costs! The Harrison is a refractor /199 and hopefully will catch me some extra dough as well! Overall, I was pretty happy with my box. Got some very interesting cards, and I'm curious what I'll end up with as my dual auto that Topps is going to send since I didn't get the one promised in the box. It'll be a great bonus to anything I already have gotten! I give this box 9 out of 10 E's on the Dimwit SWEEEEEEEEET meter. The only area of improvement I could see, is giving a little more info on Draft details on the back of the card. Not knowing most of these guys, it'd be nice to know if I have an auto of a first rounder, or a 32nd rounder. Other than that, the design and execution is great. Vincent spent all last year recovering from Tommy John surgery, so I'm hoping he'll produce big this coming year and down the road. The plate is a yellow plate (obviously) of Brett Myers from 2011 Topps Chrome. Myers may not be in Houston for long, but I am a fan of printing plates and was happy to trade for another one! 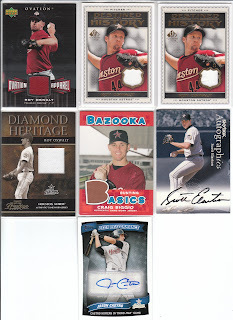 This brings my Astros printing plate collection to 2... Berkman from 2010 Allen & Ginter and this one. Thanks Andrew. Finally some free cards from Dan over at The Other World. He sent over a few Gyspy Queen cards and I'll be sure to look through his want list and return the favor. As always, any cards on this post are up for trade unless otherwise noted... let me know if you're interested and what you may have to offer! 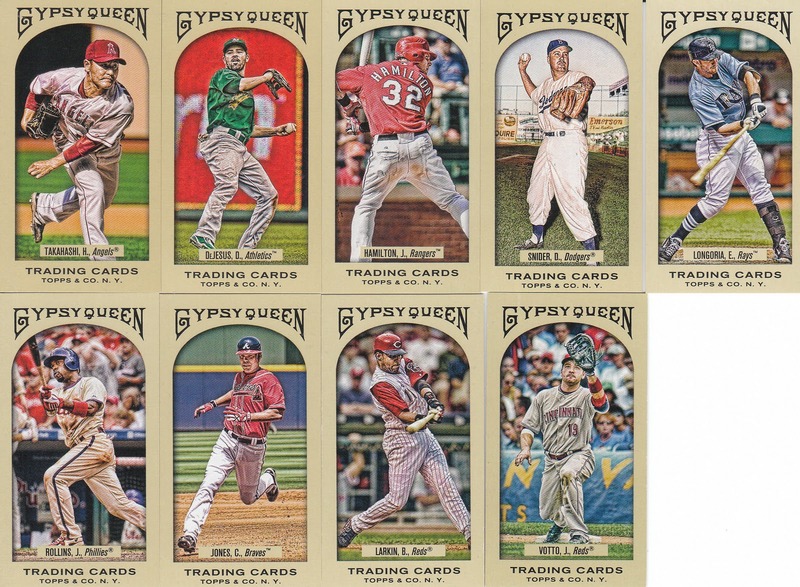 1) Complete 2011 Gypsy Queen base, second set and mini's. I am not too far from any of these three sets. Hopefully I can get this checked off at the Tristar show next month. 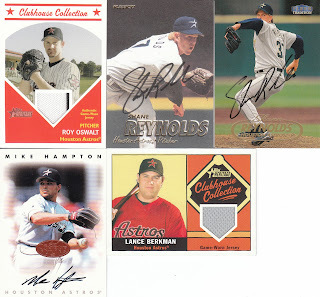 2) Organize my Bagwell, Biggio, Berkman and Nolan Ryan player collections. I have Bagwell about 75% done so hopefully I can make a dent in the others in due time. 3) Avoid unnecessary purchases. If it doesn't fit in my collection, don't by it. 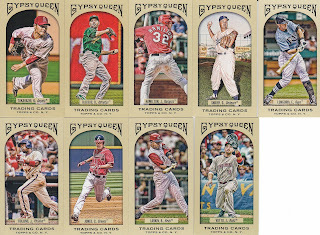 I waste too much money unnecessarily on cards I don't really collect just for the heck of busting wax. My LCS will not like this goal but my wife and bank account will. 4) Organize 1 group break per month. Here is where I need and want suggestions for products to open. I want to make the group breaks a regular feature rather than the spastic irregularity at which I have been running them. So what about you all? List a goal in the comments and Sunday I will do a randomization for a prize that fits your collection. A little thanks for those who have read this far. 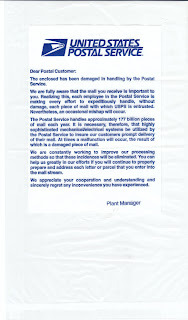 I'll start with some sadness... ever got one of these? Wow, ok I finally got a Nellie Fox! 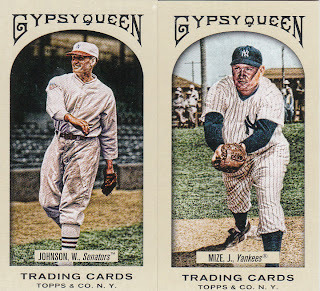 I tried all last year and this to get it from the Topps Giveaway sites, but people were either hoarding their Nellie's or asking huge ransoms for their Nellie's, I'm also intentionally typing Nellie's in a suggestive manner... but I got one! Sweet!!! Leon Roberts is on the Reggie Cleveland All-Stars (if you don't know what that is, go read up on your Sports Guy stuff). 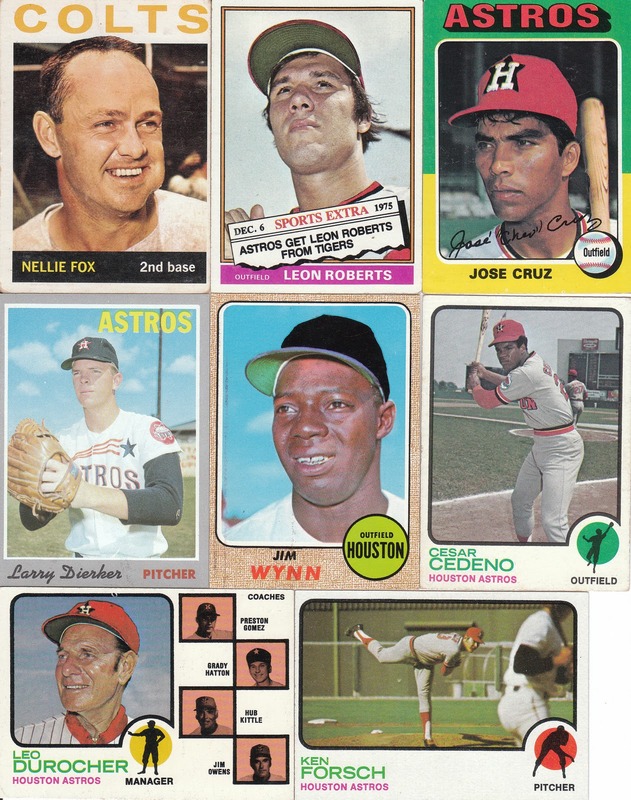 I'll be seeing Jose next month at the Tri-Star show (more to tell at a later date there), The Toy Cannon, Cesar Cedeno and then a legend Leo Durocher, who I can't believe actually managed the Astros, plus Ken Forsh. 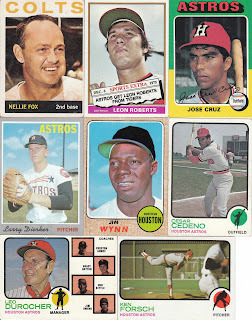 I love some vintage Astros! That's way more Antoine than this blog ever needs to see! Alright, next up is a deal from Ryan G over at This Card is Cool. 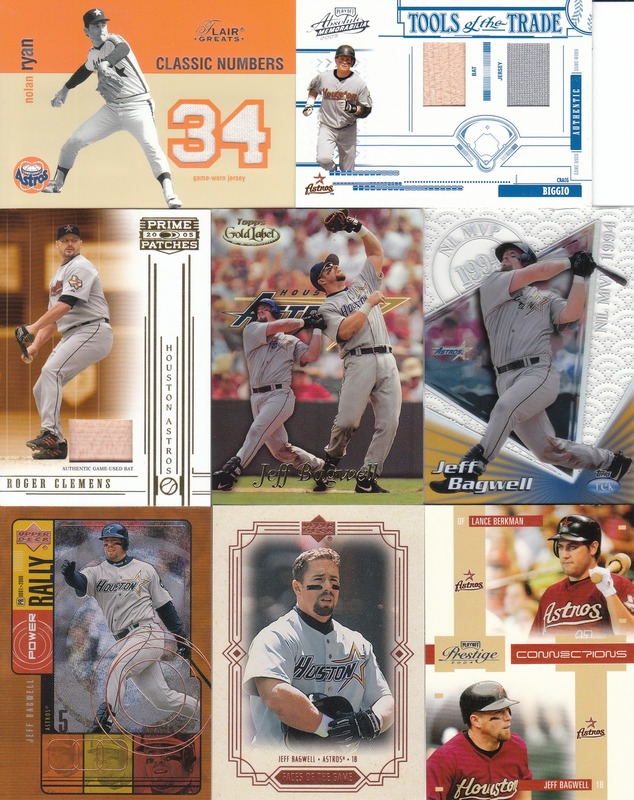 Wow, that Biggio is sick enough as it is! 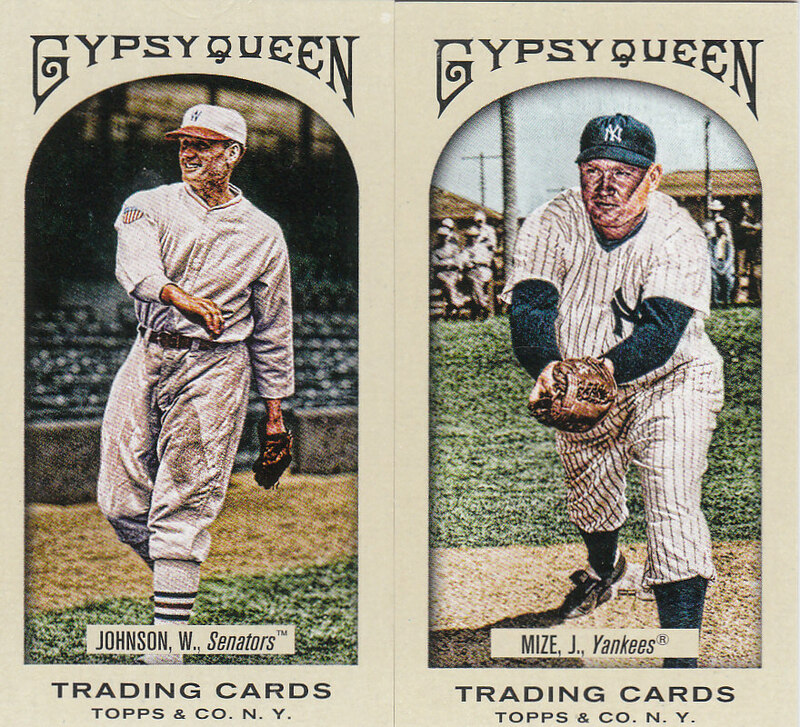 But the Clemens is a super thick card as well! 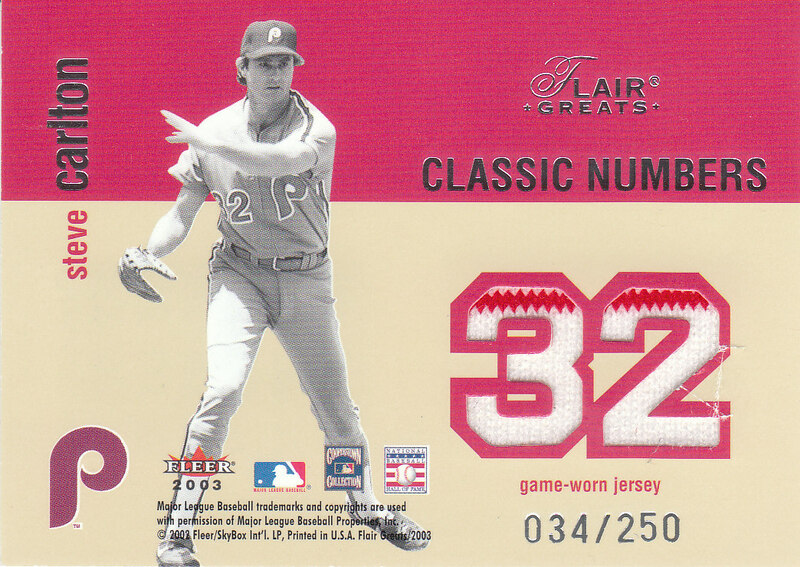 Add in some nice Bagwells, and I haven't even gotten to the Nolan Ryan yet... it's AWESOME if it was just by itself... but look at the back! Um... wow... 2 HOF's... strikeout kings... ok, so there was a little damange to the "2" on the 32 on the back, but I was aware of this and really, I care mostly about the front of the card anyways... AWESOME!!!! Thanks Ryan! 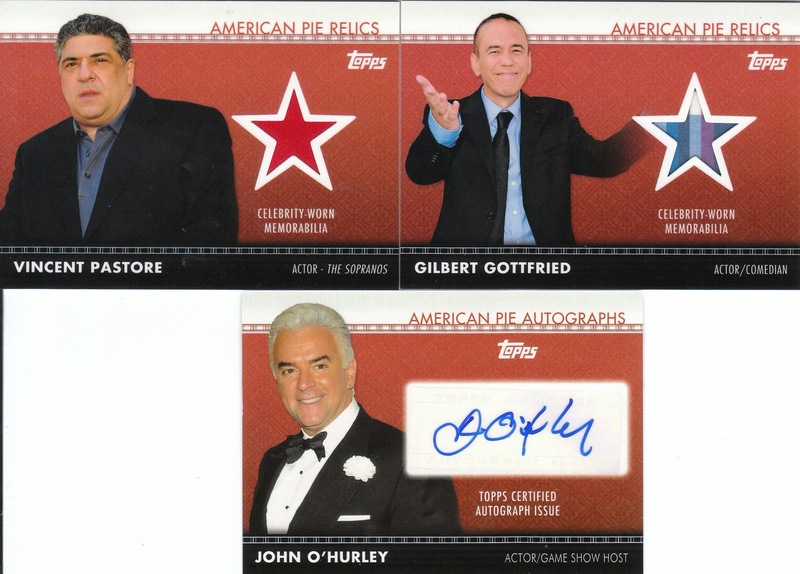 Nothing exciting here... the Vincent Pastore (I almost fell asleep typing that), Gilbert Gottfried (I wished silence on him while typing that) and John O'Hurley (I contemplated the meaning how this guy is famous in our society while typing that). What a load of crap hits from American Pie. These two cards are infinitely cooler than any of the three hits. We got two buybacks! The Shatner is from 1979 (older than me!) and the Knievel screams "Look at me, I'm a bad@ss" is from 1974. Give me either of these two over John O'Hurley any day. We are about 21 cards from the complete 200 card set... if anyone wants a "want list" to trade and has a want list of cards they need, shoot me an e-mail. 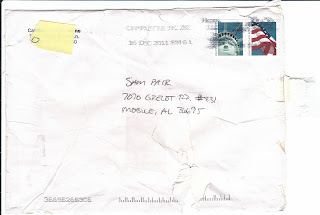 Finally, I said I had some pimpage to do... well, Jaybarkerfan's Junk is holding a blog of the year contest. Somehow, one of you knuckleheads nominated me. I need you all to go over there and nominate good bloggers, so that I don't by some miracle of modern science/vote rigging, win this thing. There are far better internet scribes out there. Really, I now know what those fake actors mean when they say it's an honor to be nominated, because it validates the hours spent typing this drivel!!!! Also, I have no hope in winning this thing, just look at the other nominees, so go nominate someone! Enjoy the contest! If you really like a blogger, give him a little bit of an ego stroke and nominate him for this awesome award! Thanks for the three of you who read to the end, it's an honor and a pleasure to know there's at least someone who has nothing else to do on a Monday night except read my blog!!!! Have a great week everyone! Here we have the final box of the break. Thanks everyone for participating. This is the last break of the year! I'm contemplating boxes for the break in January, please let me know if you have any ideas! And after the break, you'll get the scans! Well, no redemption cards hiding in the rest of the boxes, I meant to assure you last night of that but I was rather forgetful... I also forgot to link to Tanner's Blog, 6,000,000 Cards and Counting... Thanks for helping out with the break Tanner and everyone go check out his blog! And after the break you get the scans! Hmm... I wonder who picked which cards to highlight... hahaha... Thanks Ryan! Alright, so I read on Play At the Plate that 2011 Topps American Pie hit the shelves today! Well, the wife and I looked through the sell page on Sports Card Radio and decided to grab a blaster or two! Well, here's some of the highlights! Here's a selection of cards, one from each decade. 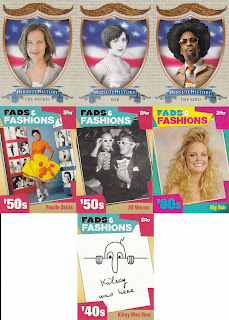 Each decade has a different border along the bottom. 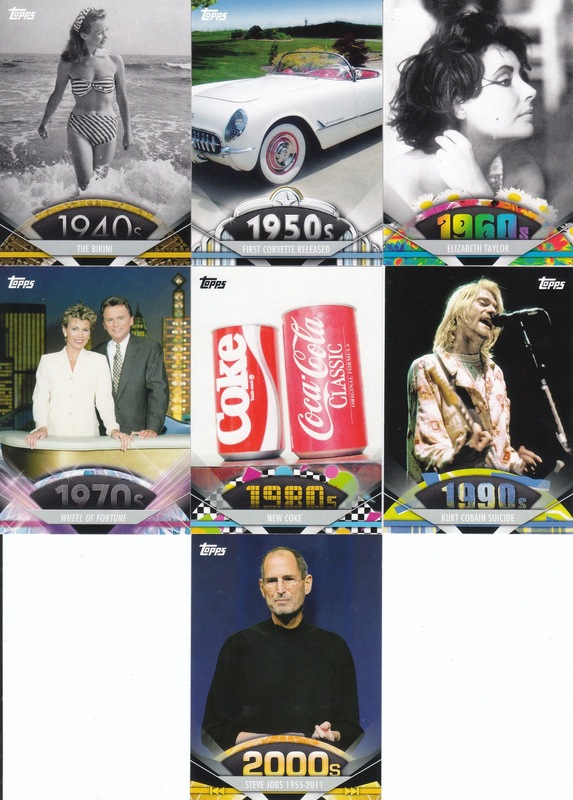 Bikini's, corvette, Liz Taylor when she was pretty, Vanna White, Coke, Kurt and Steve Jobs. What a group! This is the coolest subset in my opinion. 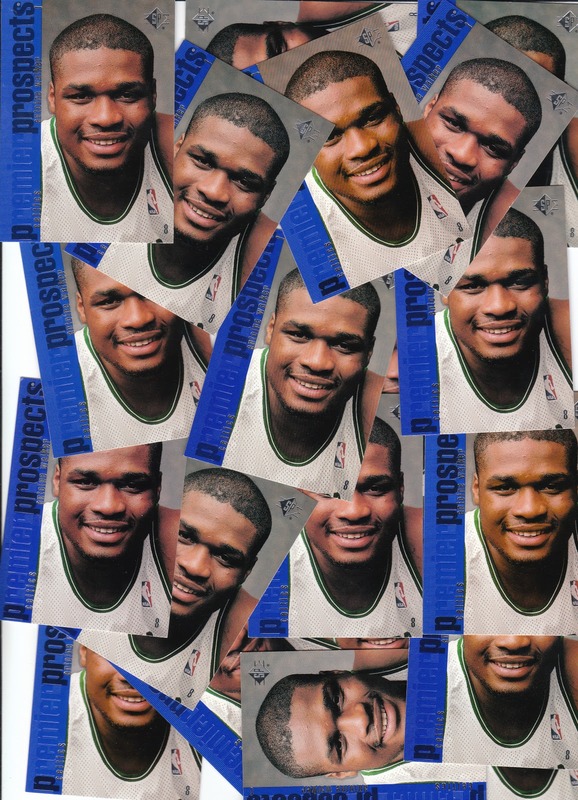 Apparently there is a manu-patch version of all these as well numbered out of /50. But the base insert set is still pretty cool and I'm digging it. 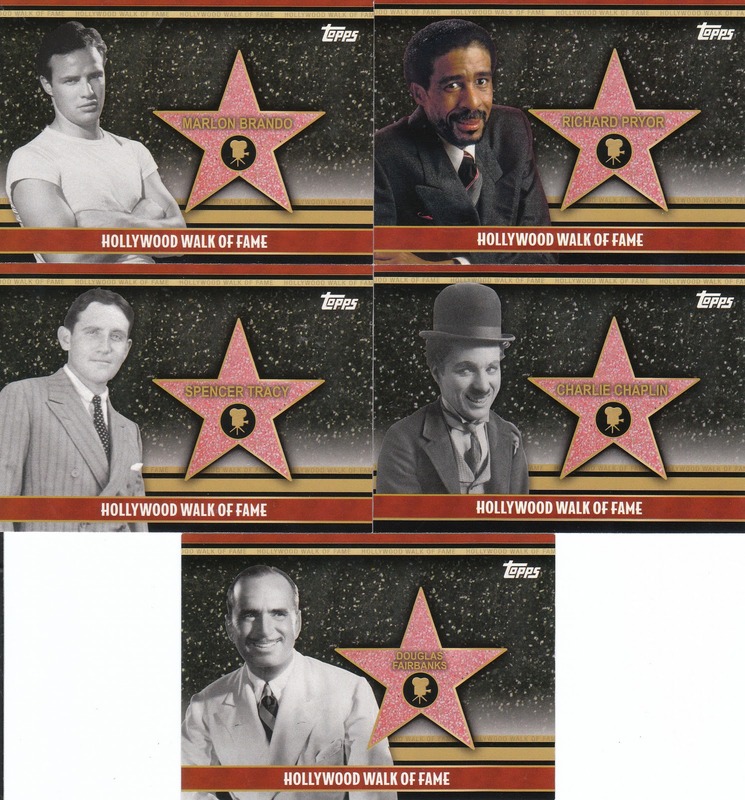 Brando looks like a bad@$$ and Richard Pryor looks like I remember him. What can you say about the look on Charlie Chaplin's mug? Great job Topps, a good insert set. Jimmie who? Sorry, I'm too young (31) to have ever watched "Good Times". Not my niche. However, Tia Carrere... SCHAAAAA-WING!!!! But who the hell awarded her a Grammy? (I mean, other than the people who award the Grammy Awards, don't be jerks). I didn't even know she had an actual singing career. I thought it should read "Actress and Model". But whatever, the swatch is definitely cool as well, always dig the multi-colored cards! Ok, enough of me ranting against the system and the monopoly. 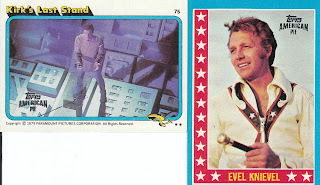 I once was e-mailing Topps and Mr. Clay hoping for a blog sponsorship but was told my readership wasn't big enough. Whatever, at this point, I wouldn't want to represent Topps as a blogger. They just have no clue, especially after my experience with their customer service today. Alright I said I'd stop ranting and I didn't. Thanks for continuing to read, even if Topps doesn't value your readership. Damnit, stop ranting!!! 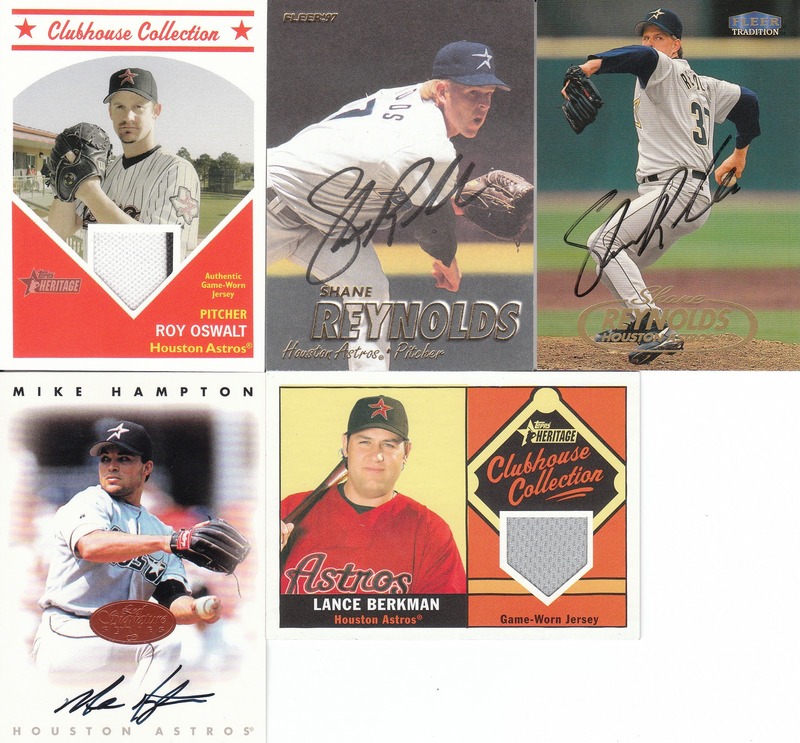 So, I have some duplicate "hits" that I'd like to offer up as trade bait to any player collectors or fellow Astros bloggers... I've sent this pic to a couple of you in hopes of some deals, and figured I'd throw it out there for the rest of the blog-o-sphere as well. If you like any of these, feel free to make an offer! Doesn't HAVE to be Astros cards headed my way, as long as it's something trade-able that I don't already have! A couple of these are ones I just recently traded for, then looked in my binder and realized I already had them... don't you just love that?!?!!? Oh, and group break participants. I was informed my boxes shipped out yesterday. I'm waiting for my seller to give me a delivery confirmation number so that I can track them and see if I can figure out exactly when they will get here. The goal is to get them all busted and packaged up for a Saturday trip to the post office! "Unfortunately the card mentioned will be considered error cards and Topps will not issue replacements or refunds of any sort for this product." Wow, thanks Topps. Your sticker placement goons mess up and I end up with this frankencard. Another "game-changing" decision from the wonderful folks at Topps. So, I was contacted a week or so ago from a guy named Rob. 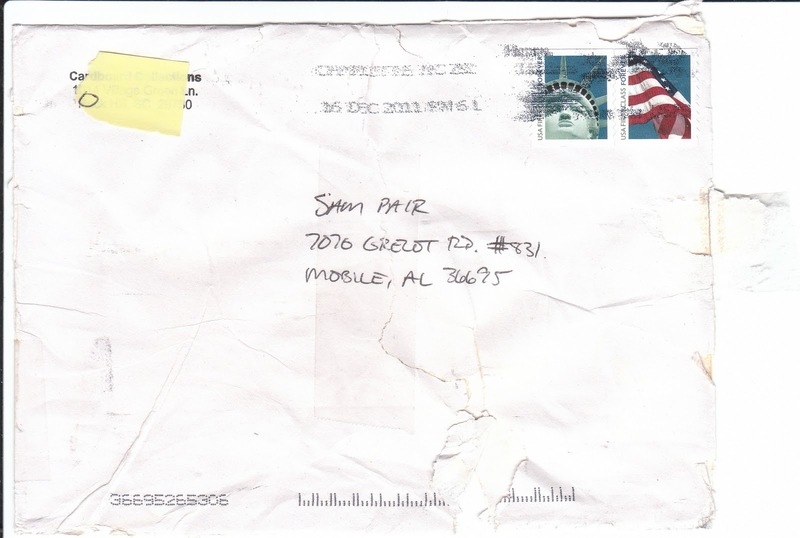 He had some Astros cards that he'd send my way, with a loose promise of some possible Mets cards back in return. Well, I wasn't expecting a full 500+ card type case in the mail, which showed up today. Amazing. Tons of cards, and some great ones... too many to post, but I did pull out a few that caught my eye! Thanks Rob! Three great players here! Biggio, Berkman and Clemens. Still a big Clemens fan... and I got a hit! A Beltran hit! Sweet! He was only here a half a season, so his Astros hits are rare! Thanks again Rob, I'll see what kind of Mets package I can send back your way! Oh wait... it's all making sense... somehow you found a way to slap a Nolan Fontana auto on a Dominic Ficociello card!!!!! WHAT THE HECK!?!?!! Where is the quality control???? Do I have a super rare error card? 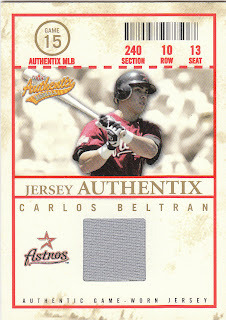 Or a worthless card that Topps probably won't even acknowledge they screwed up on. If I take this to eBay, I'll be accused of faking the auto or something. But really, this is exactly how I pulled it from the pack! What would you do? 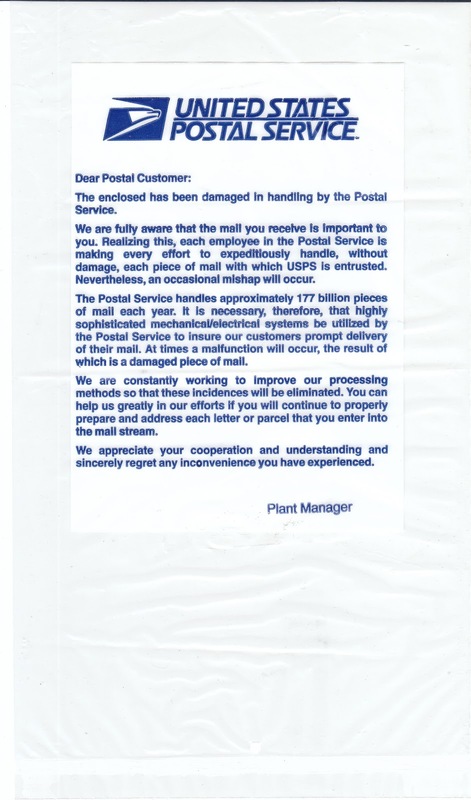 Contact Topps Customer Service to ask them to fix it? Just keep the card?